Meanwhile, heat the chicken broth in a pan to warm over low heat. 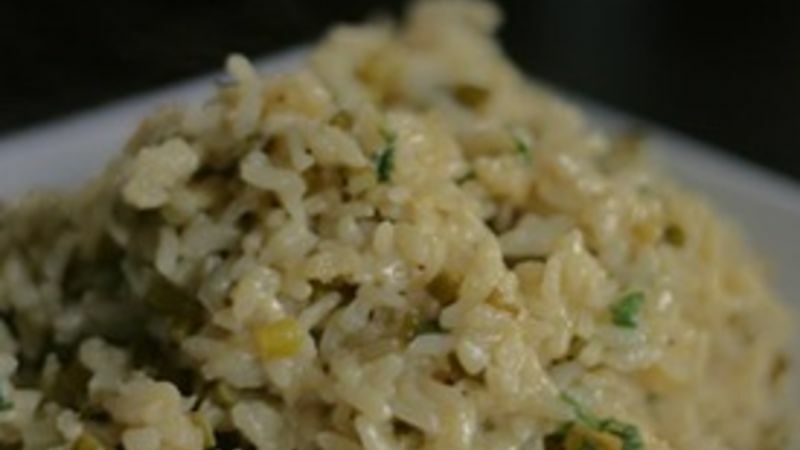 Once the wine is absorbed into the rice, begin adding it to the rice mixture one ladle at a time. Allow the broth to be fully absorbed into the rice after each edition (you'll hear a sizzle when its all absorbed). Be patient. Part of making risotto is waiting for it … and it’s totally worth the wait. All in all, this will take about 25 minutes. Once all of the broth has been added and absorbed, stir in salt and pepper, the sage and the cheese. Cover and cook for 2-3 more minutes. Remove from heat and serve immediately.